I know, that title doesn’t seem to go together does it? But you can snack while on a cleanse. I love to snack. I could easily nibble all day and be satisfied. I’m much more a salty snacker and would prefer popcorn or chips over some sort of sweet item any day. When I was a kid, I actually used to request salt and vinegar potato chips, garlicky dill pickles and spicy pepperoncinis in my Easter Basket. I just love savory flavors. On the cleanse, it may be hard to think of easy, on-the-go snacks that fulfill that salty/savory or sweet craving but they do exist. At the end are two healthy snack recipes to try, check them out! Nut mixes – we buy a bunch and we just throw them all in a bag and shake up (we like a mix of unsalted and salted just to satisfy that salty craving a bit). We typically incorporate almonds, walnuts, cashews, pistachios, unsweetened coconut flakes & macadamia nuts. LaraBars – Apple Pie, Carrot Cake, Cherry Pie, Pecan Pie (these flavors have cleanse approved ingredients) and are great when on-the-go. I loved this recipe I made for Roasted Pumpkin Seeds. This particular recipe called for maple syrup (which is not allowed), but could definitely work with coconut nectar. I’m going to try it and test with pecans. For a sweet snack, I love slicing up some pineapple and topping with unsweetened coconut flakes and slivered almonds. Tuna & White Beans: simply mix together a can of tuna, some sliced red onion, one can Canellini beans, celery, splash of olive oil, salt, pepper and some lemon juice). Serve on rice cakes, rice crackers or even wrapped up in lettuce leaves. Frozen popsicles: blend together frozen raspberries, coconut milk and some coconut nectar. Adjust for taste, pour into popsicle molds and freeze! Go Raw has a great selection of snacks. Choose the ones with approved ingredients only. Guacamole is one of my favorite snacks on the cleanse. 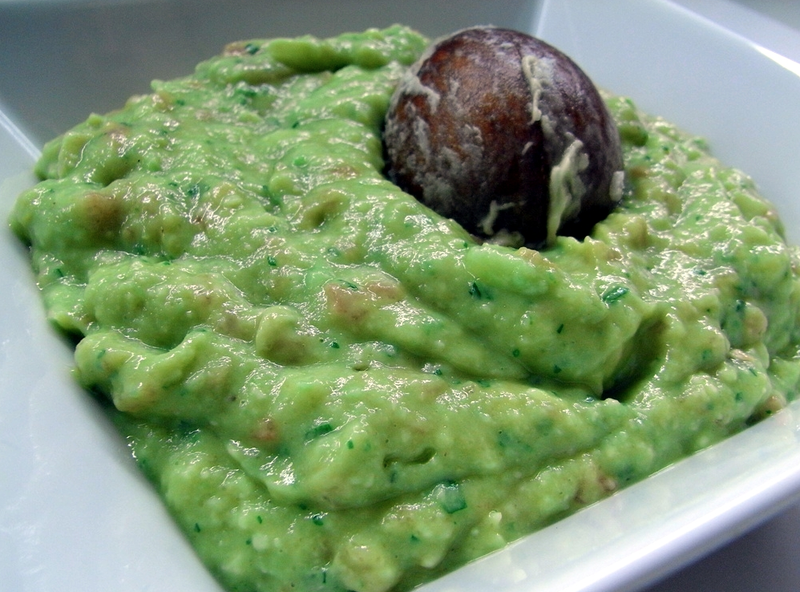 It tastes really rich due to the creamy avocados and gets some healthy fats into your diet which is still important while cleansing. Combine all ingredients together in a bowl and mash with a fork. Tip: A great way to reduce browning is to cover with plastic wrap and add the pit to the bowl when storing in the fridge. Chickpeas are so good. This recipe provides a wonderful spicy, nutty flavor combo that is sure to please a savory-snacking girl like me. Enjoy! Heat oven to 425℉ and line a rimmed baking sheet with parchment. Dry chickpeas with a papertowl, place on baking sheet and bake for 10 minutes. Take out the pan, mix up the beans with a spoon to encourage even cooking and place back in the oven for 10 minutes. While the beans are cooking, mix all of the spices, salt and oil in a large bowl. Remove from oven and dump them into the bowl with spices and give everything a good toss. Throw the chickpeas back on the baking sheet and roast for an additional 5-10 minutes keeping an eye on them so they don’t burn. Once done, give them an additional light sprinkling of salt and let cool before serving! I hope this has given you an idea of some healthy snacks that taste good and will help satisfy you from one meal to the next. I love the tip of leaving the avocado pit in the bowl to reduce browning. Thank you!